Equine Reproductive Procedures is a user-friendly guide to reproductive management, diagnostic techniques, and therapeutic techniques on stallions, mares, and foals. Offering detailed descriptions of 161 procedures ranging from common to highly specialized, the book gives step-by-step instructions with interpretative information, as well as useful equipment lists and references for further reading. 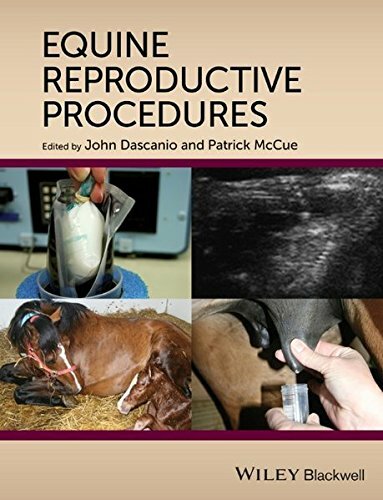 Presented in a highly portable spiral-bound format, Equine Reproductive Procedures is a practical resource for daily use in equine practice. Divided into sections on the non-pregnant mare, the pregnant mare, the postpartum mare, the stallion, and the newborn foal, the book is well-illustrated throughout with clinical photographs demonstrating procedures. Equine Reproductive Procedures provides practical guidance for performing basic and advanced techniques associated with the medical management of horses.